This article examines the benefits of effective utilization of mobile technologies and inquiry-based teaching methods in Nigerian universities. 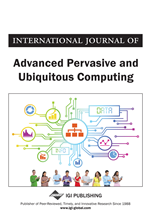 Specifically, the study explores the techniques that guide undergraduate students to learn with digital support from mobile devices and wireless communication during their classroom activities and outside the classroom with use of PDF and WAP technology. This research uses mobile phones because of its easy accessibility to students and lecturers. The researchers are interested in finding out the benefit of effective use of mobile technology in teaching and learning, identifying types of mobile application used by students and examining the time spent on effective learning by students and benefits of receiving classroom material through pdf and WAP technology. Four research questions were raised, and 80 undergraduate students participated in the study. The research design was a descriptive survey, and frequency count, simple percentage and mean score were used for the research analysis. It was revealed that students always use their mobile phones for academic purposes and academic performances of students have been improved through the use of mobile phones to solve classroom questions. The time spent on using mobile phones for learning process was also unveiled and recommendations were made based on the researchers' findings. The 21st century controls its citizen with new choice, opportunities and challenges due to the ubiquitous presence of technology into all spheres of life: business, administration, government and education. The profound shift undergone in the academic fields must be viewed by thinking on the new possibility that the new technology involves. Traditional teaching and learning paradigms have been shaken by the impact of the integration of information and communication technology (ICT) into educational practice and the acquisition of skill and literacy in the usage of Information Technology to the delivery of the necessary tools which will lead students to knowledge creators and users. Thus, deeply immersed in the society of knowledge, a society based upon a critical rational and reflexive use of global and distribution of information (Gilbert, 2003) in which the most outstanding communication means are telemetric networks. One of the greatest challenges to be overcome on our way to the 21st century is to enable teachers and students to achieve competency instead of letting them be enslaved by it. Any activity that allows individuals to be more productive when consuming, interacting with, orienting information, mediated through a compact digital portable device that the individual carries on a regular basis, has reliable (E-learning Guide, 2007) connectivity and fits in a pocket or purse. Mobile learning (M-learning) is the use of mobile technology to aid in the learning, reference or exploration of information useful to an individual at that moment or in a specific use context (Float learning). M-learning requires a whole new strategy for assessment. Traditional e-learning often includes a final knowledge check/assessment with the initial results recorded on an LMS but given that there is often a time delay before the learner is actually meant to put the learning into action; it can be difficult to measure and evaluate long-term behaviour change and the effects of the outcome. The time between M-learning taking place and the learner putting what they have learnt into action is relatively short; so, it can be easier to measure behaviour at change and impact on the business/outcome (Aurion learning, 2012). Researchers have argued that these technologies have the potential to improve efficiency and effectiveness in teaching and learning (Dubendorf, 2003), and to challenge the essence of face-to-face teaching and learning Kukulska-Hulme (2005). In examining the benefits of mobile technologies in education, KIM; MIMS; and Holmes (2006) summarized them in the following: (a) Mobility, which is associated with the advantage of accessing information anytime, anywhere; (b) Information management capacity, which is associated with the digitization of information and electronic-based management; and (c) Beaming capability which allows the sharing of files instantly and in real-time (KIM; MIMS; and Holmes 2006).